Repairing vehicle seats for fleet service companies has generated a lot of income for my auto upholstery shop, and it can do the same for yours — so long as you know what you’re doing. It’s not difficult to identify potential clients, especially since most companies and government services rely on car and truck fleets. My shop’s biggest accounts include all of our local school districts and municipalities. They supply us with a steady stream of seats from busses, trash trucks, fire trucks, police vehicles and ambulances. We also service our water company’s enormous fleet of trucks, several construction and landscaping crews, and local truck-supply and repair shops. Fortunately, we’re located close enough to Philadelphia International Airport that we can repair their trucks and shuttle busses too. The point is, the list of potential clients is endless. In time you’ll be able to develop just as many accounts as I have — maybe more. Start by introducing yourself to all of the truck-supply and repair shops in your neighborhood. It’s very common for truck owners to ask their mechanics about seat repair. If you develop a good relationship with these shops, they’ll either bring you truck seats or recommend their clients go to you directly. After that, put together a simple marketing plan based on fliers, ads and cold calls. To keep up with the heavy workload and quick turnaround time required of fleet services, you’ll need to stock your shop with all the necessary materials and supplies. The most important thing you’ll need to have in stock is heavy-gauge vinyl that can withstand a lot of abuse. You’ll need it in common colors like black, beige, and medium and dark gray. Keep rolls of red and blue vinyl on hand for older trucks. Of course, you’ll also fix a lot of foam cushions, broken springs and even the occasional cracked frame (which will need welding). Therefore, you’ll need to stock 1″ and 2″ sheets of high-density foam, seat springs in a variety of sizes, and a roll of carpet jut padding to cover the springs. I usually abide by the “Good, Fast, Cheap” model of doing business — which says that any client can pick two, but not all three. However, to secure a fleet service account, you’ll need to hit all three. 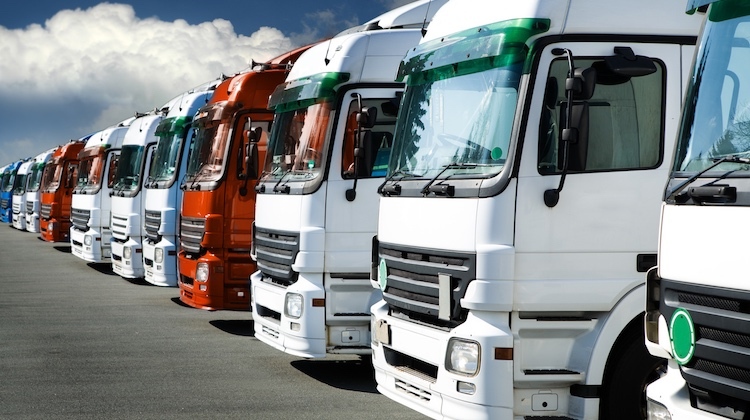 You need to complete fleet work quickly, with typically a one- to two-day turnaround time. Remember, these are work vehicles, so if they’re not making money, they’re losing it. The longer you make a company wait to get its vehicle back on the road, the less likely it is you’ll get return business. Topstitch panels instead of using French seams. Instead of replacing an entire base cover, just replace damaged panels. When redoing an entire seat, make its face panels out of one piece of vinyl with two pleats to simulate an insert panel and bolsters. I also give better deals to fleet service clients than walk-in customers because of the large amount of work they bring my shop. One of the biggest advantages to fleet work is that the majority of accounts never ask about price. They simply drop off a truck or seat and sign the receipt when the job is done. Not having to estimate the cost of repair beforehand prevents me from getting burned by surprises on the job. After I complete a seat, I reflect on the time and cost of materials involved and assign the job a fair price for both my client and myself. However, be aware that most accounts will pick up the job, leave you a purchase-order number and pay the balance by check within 30 days. Fleet services rarely ever pay on the spot. As someone who repaired his first truck seat at age 17, believe me when I tell you that doing fleet work is a great way for entry-level trimmers to hone their skills. Rebuilding dilapidated seats over and over again will help new trimmers master such important skills as pattern making, foam sculpting and proper seat-cover installation techniques. In fleet work, a truck seat’s upholstery is usually in such bad shape that you can’t take it off and trace it. Instead, you’re forced to freehand your pattern. What’s more, the foam is usually so shot that you’ll have to reconstruct and shape it by hand. Mastering these skill early on creates expertise, and helps distinguish the very best trimmers from the mediocre ones. These skills also carry over into the restoration and custom end of our industry, helping trimmers become better all around. I highly recommend fleet service work for every auto upholstery shop. It’s an excellent source of income and a great way to train employees on the many nuances of our craft. Great article! Touching base with the local trucking companies when I was starting up was the best thing I did. Not only did it do wonders for improving my speed, I am always guaranteed work, and repairs are the best way to keep cash flowing in while working on larger jobs. Like you mentioned, keeping materials in stock is also key. I really feel it is such a small investment to be able to offer quick turnaround times and in turn make quick money. I completely agree Ferbs. Such accounts have served as the bread & butter of our shop for years. A great write up! Fleet work is bread and butter, and not to be given up on even when you’re brand is recognized for top-of-the-line custom upholstery. You can always have a junior trimmer, who’s job it is to handle the fleet work. It’s lucrative, steady income, and as the writer pointed out, it’s good training for the junior trimmer. The list of prospects is endless. There are telephone companies, hydro companies, municipalities, moving companies, auto parts companies that have fleets of delivery vehicles (these are good to be on a good basis with), Tractor service companies, and so on. Thanks Bryn. I agree 100%. There is no reason that a custom upholstery shop can’t handle fleet service work in addition to the higher end vehicles. There are so many advantages to it that it doesn’t make sense not to. I love what you said about stocking up on supplies. Fleet servicing is important for vehicles. If I were to own a fleet, I would contact the best auto service around.